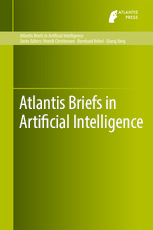 The aim of this series is rapid dissemination of new results and original methods in the theory of Artificial Intelligence, including topics not yet covered by standard monographs. The series features compact volumes of 75-200 pages, written in a concise, clear way and going directly to the point. The introductory material should be restricted to a minimum or covered by suitable references. All proposals submitted to this series will be handled by one of the Series Editors. Upon receipt of the manuscript, the entire monograph will be reviewed by an expert referee. Only after this review the book will be published.